House Partay! Former NASA scientist Bill Wolverton knows House Plants do a whole lot more than just beautify a room-they help remove air toxins that cause indoor air contamination. Check out his new indoor high tech air filter-it looks like a potted plant. Green is one of my favorite colors-I love lush greenery, and find inspiration in growing things. I prefer the real thing. 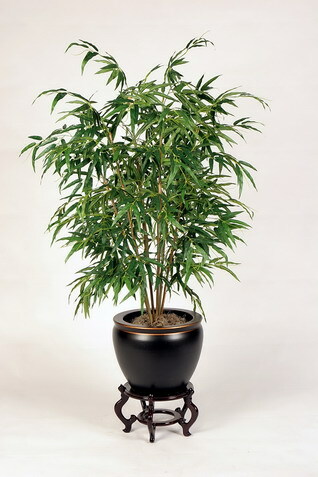 Here we list five of the best House Plants that do exceptionally well at helping remove formaldehyde (found in synthetic fabrics, plastics, carpeting) which is listed by the EPA as a possible carcinogen. 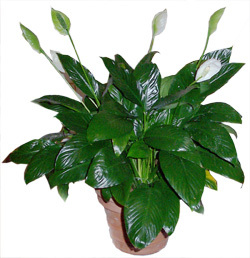 Peace Lily-med. to bright light-water thoroughly, let dry out between watering. 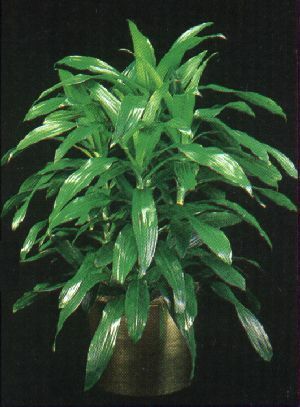 Bamboo Palm-med to bright light-thrives in humid environment. Janet Craig (Corn Plant)-bright light, no direct sun-let soil dry out between watering. 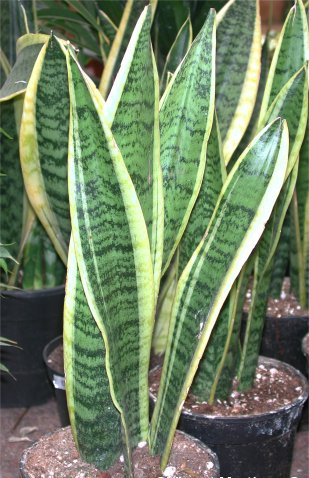 Mother-in-law’s Tongue (Snake Plant)-Very durable, grows in all light-be careful not to overwater. Spider Plant-med. To bright light, water thoroughly, let dry out between watering. You can also try our All Natural Palm Wax candles-100% pure vegtable wax that forms stunning crystal patterns in the wax. Eco friendly and from a US grown renewable source. Combine this wax with our Lemongrass essential oil for a gorgeous fresh clensing candle. This entry was posted on Sunday, September 28th, 2008 at 8:11 pm	and tagged with air filter, All Natural, Green Candles, Palm Wax and posted in All Natural Wax Candles, candles, Healthy Air Fresheners. You can follow any responses to this entry through the RSS 2.0 feed. « New Newsletter with secret sale! 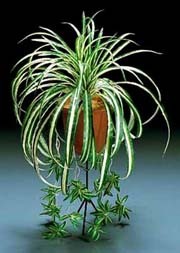 how to tell between a male spider plant and a female spider plant? I comment whenever I especially enjoy a article on a website or I have something to valuable to contribute to the conversation. article I browsed. And after this article House Partay�.